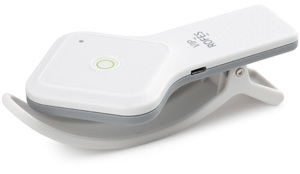 Vision Shop - New Products! 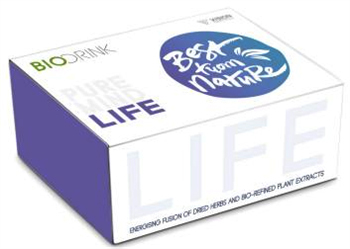 LIFE is an uplifting energy drink, created to naturally energise the body and focus the mind. 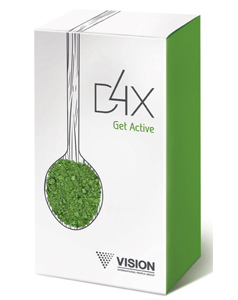 It helps feel lively, improve mental alertness and enhance productivity. 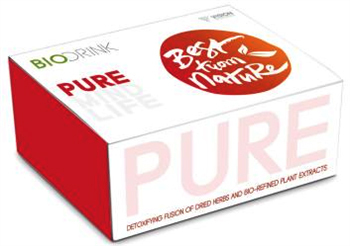 This Bio-drink raises cardiovascular endurance and improves oxygen supply to the blood. It doesn’t cause dependency unlike energy drinks and is safe for people with high blood pressure. MIND is a great choice to control your anxiety. It helps dealing with anxiety symptoms directly and brings some peace to your stressful day, especially before night. Also this Bio-drink helps fighting stress and has an overall beneficial effect on your nervous system. Bioactive heart support products used on a daily basis can prevent various heart diseases and reduce mortality up to 3 times. Super product for cardiovascular system CardioDrive contains maximum amount of purified natural substances. It contains only the ingredients in their best absorbable form, free of preservatives, gluten and GMO. 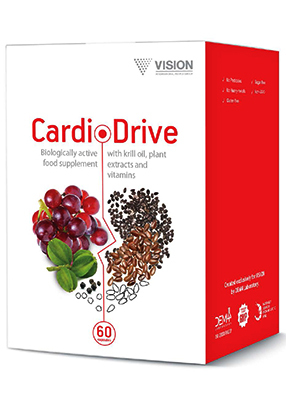 CardioDrive is an extremely strong and potent product with maximum bioavailablity and effectiveness. It also has a most advanced new approach to cholesterol, aiming not to lower it, but fighting he atherosclerosis causes. Hardware-software complex VIP-Rofes provides the opportunity to test the functional state of all the organs and systems of the human body. Daily checks of the vital functions state will help you track the dynamics of the processes occurring in the body, assess the indices of your emotional and physical state, estimate the level of fatigue and the degree of its influence on the body tone. Hardware-software complex VIP-Rofes is safe and easy to use. You need to just fix it on your wrist. Spirulina is the superfood richest in beta carotene and calcium, which helps you stay energetic during physical activity, provides most of the protein you need, reinforces your immune system and aids you in getting through your simple daily routine. The net protein utilization (NPU) is high, meaning your body will be able to efficiently use all the amino acids. Contains all the essential amino acids. x10 more beta carotene than in carrots. 1 g of spirulina contains the same amount of nutrients as 1 g of vegetables. Manuka honey used in D4X has a very high 20+ UMF rating and is the king of honeys that boosts with unique antibacterial activity more than any other honey. This su­perfood restores the body, helps to gather inner strength and is very beneficial for the immune system. Beneficial level of Unique Manuka Factor (UMF) is from UMF5+; anything from UMF16+ and up is considered superior quality. Up to 200 times stronger than other honeys. x4 the mineral content of regular flower honeys. Matcha is a superfood crucial for proper brain function. This powdered super green tea provides a huge energy blast without headache or high blood pressure. Matcha is an arsenal of vitamins, minerals, antioxidants and amino acids. Improves mood and aids in concentration. x137 the antioxidant content of regular green tea. Boosts metabolism. Acai is a sensation recognized by nutritionists all over the world. Acai berries build a fortress in your body made of antioxidants and a complex of almost all known vitamins and minerals. It is also a very delicious way of fighting aging processes. x10 the antioxidants of grapes, rich in omega-6 and omega-9. Boosts libido, especially for men. 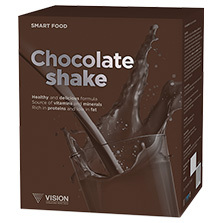 Chocolate shake contains essential vitamins, minerals, and a high-quality vegetable protein, which makes it a complete, nutritious food product. It normalizes metabolism, helps your body to sustain a high energy level, to adjust the eating habits and to lose weight. Chocolate shake has a pleasant chocolate flavor, is low in calories, and is perfect for those who follow a diet. Vanilla shake contains essential vitamins, minerals, and a high-quality vegetable protein, which makes it a complete, nutritious food product. In addition to normalizing your metabolism, this shake allows to correctly adjust your eating habits and to lose weight. 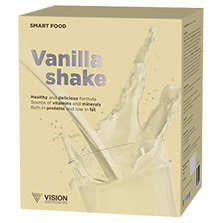 Vanilla shake has a pleasant vanilla flavor, is low in calories, and is perfect for those who follow a diet.